Superb as ever especially for such an economic looking treatment. Love them all. ‘Very Wet Again’ is my favorite… bright colors, repeating shapes, dynamic and the tension is palpable. Great! All of your pictures are colorful and “enjoying “us ! What awesome art! 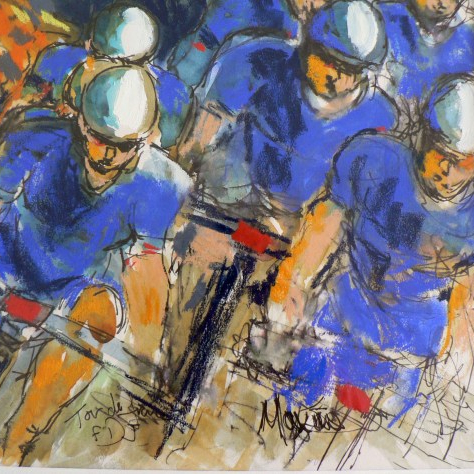 What inspired you to draw Tour de France?